Southern Pines offers a unique and appealing combination of resort, retirement and contemporary residential real estate. Located about an hour south of Raleigh, Southern Pines is the largest community in Moore County. Today, 13,000 people call this easy-going community with a laid-back atmosphere home. Perfect for the golf and equestrian enthusiast, the Southern Pines area has a flourishing equestrian community and is one of the major horse centers in the eastern United States. Numerous major golf tournaments have also been hosted here, including the US Women’s Open and the US Amateur. Southern Pines’ eclectic neighborhoods and tree lined streets surround a vibrant and inviting business/shopping village which features first-rate restaurants, shops and art galleries. Properties here are available in every type, from upscale family sized homes in quiet, friendly neighborhoods to smaller, more modest residences for retirees on the fairways of the many golf courses in the area and homes on beautiful horse farms on the outskirts of town. Whether you are looking for a relaxed lifestyle in a golf community, a horse farm, or a retirement home, Southern Pines might be the right fit for you! 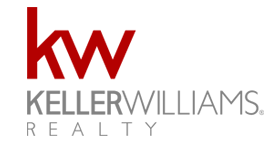 If you’re interested in arranging a viewing for any properties in Southern Pines or surrounding areas we are just a phone call away at 910-261-4399. We're happy to schedule a showing for any Southern Pines properties and communities. See latest homes below or click search to view home listings in Southern Pines.